Bob Jones is a leader of the Helix Nebula initiative (http://www.helix-nebula.eu/), a public private partnership to explore the use of commercial cloud services for science applications. He is the coordinator for the HNSciCloud Horizon 2020 Pre-Commercial Procurement project (http://www.hnscicloud.eu/) which is procuring innovative cloud services to establish a cloud platform the European research community. HNSciCloud builds on the results of the Procurement Innovation for Cloud Service in Europe (PICSE http://www.picse.eu/) project that raised awareness of procurement of cloud services for the public sector. Bob also participates in the EIROforum IT Working Group (http://www.eiroforum.org/) and is the editor of the recently published series of e-infrastructure documents (http://zenodo.org/record/7592). Bob was until recently the head of the CERN openlab project (openlab.cern.ch) which is a unique public-private partnership between CERN and leading ICT companies. Its mission is to accelerate the development of cutting-edge solutions to be used by the worldwide Large Hadron Collider (LHC) community. 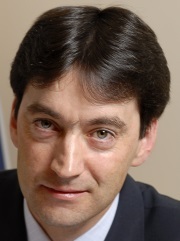 His experience in the distributed computing arena includes mandates as the technical director and then project director of the EGEE projects (2004-2010) which led to the creation of EGI (http://www.egi.eu/). In its presentation Bob will summarise the commonly agreed position of the EIROforum organisations (CERN, EMBL, ESA, ESO, Eurofusion, European XFEL, ILL) with respect to the European Open Science Cloud. It will explore their common requirements as research performing organisations for services in the context of the EOSC and highlight how the EIROs intend to contribute to its establishment.